KATHMANDU, Nepal, Dec 17 2015 (IPS) - At 40, Durga Rajak, co-owner of “Mailadai Hans ko Choila,” a popular eatery in Kathmandu, is learning to light a stove all over again. However, this time she is using diesel fuel instead of kerosene. She admits this is a risky job. “There is always the danger of a blast, so I must never pump the handle too fast or raise the flames too high,” she said. But with Kathmandu reeling under a fuel crisis due to a trade blockade from political protests, both Liquefied Petroleum Gas (LPG)or cooking gas and kerosene are difficult to get, this is a chance that Rajak has to take in order to keep her business running. Rajak is lucky, she and her husband Rajendra have some contacts in the black market. They can also dole out 250 Nepali rupees for a liter of diesel instead of the regular price of 81 rupees when it is available. But, for scores of other citizens across the city, as well as in several other districts, cooking a day’s meal has become a huge challenge, due to the acute shortage of fuel that has now in its 3rd month. The shortage began after Nepal adopted its first constitution in October. The day it was passed by Nepal’s Parliament, protests broke out in Madhes, a province bordering India and home to 52 per cent of the country’s population. The constitution is biased against them, say the Madhesi people who are ethnically, linguistically and culturally closer to India. As their protests began, the activists of Madhesi political parties burned the copies of the constitution, demanded its immediate amendments and went on a strike that included blocking the supply route along the Indo-Nepal border. 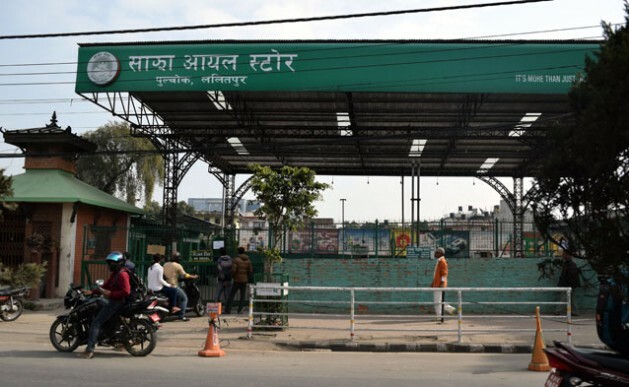 While Nepal has about half a dozen supply routes along its 1,236 km long border, the Nepal- Birganj checkpoint, 90 kilometres (55 miles) south of Kathmandu on the border with India, falls under Madhes province and is the most important one. It is through this checkpoint that the capital city imports its own supplies including petrol, diesel, cooking gas and medicine. Once the strike began, thousands of trucks carrying the supplies were stopped by the protesters from entering Nepal. One hundred days have passed since then. Today, most of the city’s gas stations, cooking gas refill stations and even kerosene shops are out of stock. On one hand the shortage has given rise to a thriving black market, while on the other, added to the suffering of those who were yet to recover from the damages caused by the June earthquake that killed nearly 8,900 and left over half a million homeless. The poor are the most vulnerable and the worst hit. In Kathmandu city, almost all the street food carts have been forced to close down because of fuel shortage. Many taxi drivers are also out of business. Chandra Bahadur, a taxi driver had says that found it hard to sustain because of the fuel shortage. “It took me a day in the queue to fill the tank once. Sometimes, I didn’t get any fuel at all. The number of tourists already fell after the earthquake. Those who come now don’t want to travel around, they fear getting stuck somewhere because of the fuel shortage,” said Bahadur while boarding a flight this week to New Delhi where he hopes to find a new job. Homemakers , 90 per cent of whom use LPG as their primary cooking fuel, are also suffering. Usha KC Raut, says that though she has two filled cylinders, she now uses them very sparingly. “I cook only one time. In the evening, we eat the morning’s leftovers. There is no question of cooking a second pot of food again,” she said. Most of her neighbors are using either kerosene or firewood while others are using induction stoves that run on electricity. “They will have to pay more for the electricity now,” she said. The supply shortage has fueled public anger against India. Both common people and the government have accused India of ordering the blockade after it supported the Madhesi demand for a constitutional amendment. But India has denied any role in the economic blockade. According to Vikas Swaroop, spokesman for India’s Foreign Ministry, “There has been no blockade by India whatsoever. The issues which Nepal is facing are political in nature. They are internal to Nepal and the Nepalese leadership has to resolve them through dialogue with the agitating parties,” he told a a press conference last week in New Delhi. But the Madhesis believe that a solution is impossible without India’s intervention. “Modi government understands us. So, we can have a solution only if India mediates, ” said Mohan Singh who is going to New Delhi next week as a part of a Madhesi delegation to seek a formal intervention from New Delhi. But as winter sets in the Nepalese are bracing themselves for a harsher time ahead. Maya Rai, a young mother of two just bought a 10 kg piece of wood for 150 rupees from a government depot. “I hope I can give my children a hot meal and a bath,” she said.